The book concerns all those in charge of bringing up and educating the next generation. it offers a concrete method in about thirty exercices, based on the science of yoga. The book concerns all those in charge of bringing up and educating the next generation. It offers a concrete method in about thirty exercices, based on the science of yoga and adapted to practice in the school classroom, at home and in the yoga hall. This book aims at helping children to acquire the qualities necessary to live well in this complex world of ours, such as self-confidence, awareness and care for the needs of others, emotional stability, the ability to concentrate, a sense of creativity. The benefits to be gained from these easy yoga techniques will interest all educators, parents and teachers. Micheline Flak. In addition to having a long career as a high school English teacher in Paris, Micheline Flak, PhD. 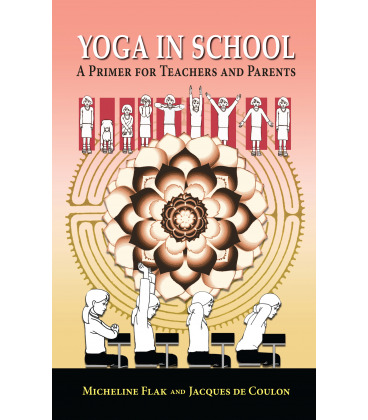 (American Literature) has introduced yoga in the French system of education. 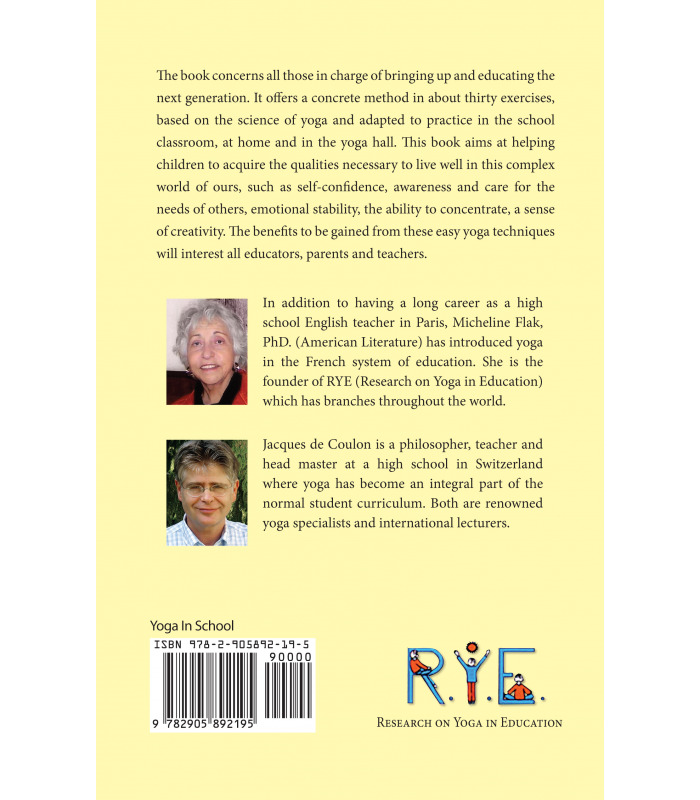 She is the founder of RYE (Research on Yoga in Education) which has branches throughout the world. 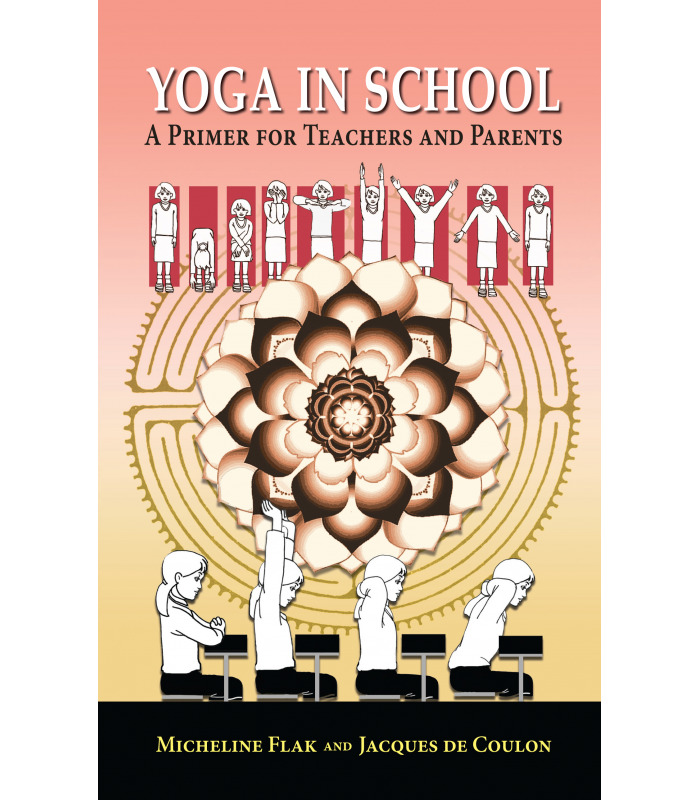 Jacques de Coulon is a philosopher, teacher and head master at a high school of Switzerland where yoga has become an integral part of the normal student curriculum. both are renowned yoga specialists and international lecturers.